The magazine is in stores November 23. Rihanna is the cover star of Dazed's winter 2017 issue. The magazine will feature four separate covers with the singer and Fenty Beauty entrepreneur shot by photographer Harley Weir. They will all be available in stores on November 23. The four Dazed covers landed online a day after Rihanna shared her three covers for the December issue of Vogue Paris. 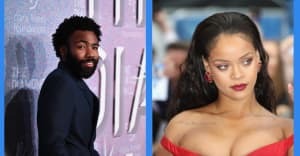 In November, Rihanna was announced as the host of the the 2018 Met Gala, and Fenty Beauty was listed as one of Time Magazine's top inventions of 2017.